Drive east from Dorset on the A303 on an autumn evening, and if you're very lucky then England will show you its magic side. 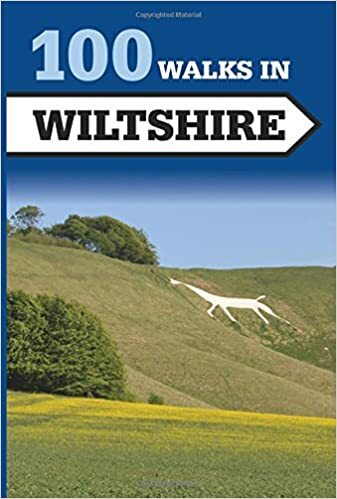 If you time it right, the air is suddenly crystal clear and long shafts of red-gold sunlight bathe the chalk hills and the surrounding countryside in a hazy golden glow. I've never yet found a way to accurately describe that colour or the unearthly quality of the light, but then you look up and a little to your left and you suddenly understand. Apart from that .... it's impressive, and mind boggling, and somewhat insane. If you're blessed with a fertile imagination, just picture yourself hauling those enormous stones cross-country, only to be faced with the prospect of standing them upright, and heaving the lintel stones on top. All without heavy machinery. Well, that's one of the few things we have managed to figure out. For starters, Stonehenge was not built in a day, or even a year. It began life ca. 5000 years ago as a large earthwork, or henge, consisting of a ditch and bank, but eventually the Windmill people of the area placed a ring of huge upright timbers into the centre of the henge. Also in the centre of the circle and dating to this earliest period of building works are the Aubrey holes, round, flat-bottomed impressions in the chalk, one metre wide and deep. They form a circle about 90m across. Nobody can say with certainty what the holes were used for. A popular interpretation is that they form a giant calendar to predict eclipses. Alternatively, they could have been part of a religious ceremony, but we have no proof for or against that belief. We only know that, soon after this period, the henge was abandoned by those who had built it. A thousand years later, around 2150 BC, locals - this time a group archaeologists call the First Wessex - again found a use for the site. And this time, their ideas were a little more ambitious. 82 bluestones were imported across 240 miles of countryside from the Preselli mountains in south-west Wales to the site where they now stand. A reconstruction has shown that the stones, which weigh several tons each, could have been dragged on rollers to Milford Haven, where they were loaded onto rafts. The rafts took the stones along the south coast of Wales and into the river Avon and then the river Frome. At the end of that journey, they were moved back onto rollers or sledges, and transported to Warminster in Wiltshire. From there, they went back onto the river Wylye and the Salisbury Avon for their final journey to Amesbury, where they were set up to form a double circle. About 150 years later, more stones arrived on site. This time they were Sarsen stones from the Marlborough Downs, 25 miles north of Stonehenge. 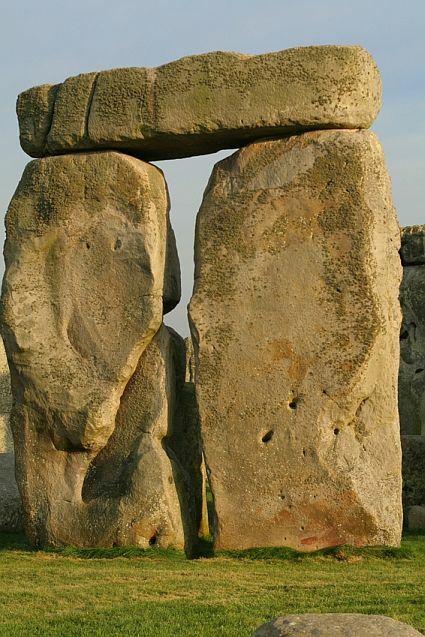 The largest of these stones weighs 50 tonnes and bringing them to the site, with only human strength and ingenuity, would be an achievement even today! The Sarsen stones form the outer circle and were arranged with a continuous run of lintels, while three trilithons were placed in the shape of a horseshoe in the inside of the circle. But almost like one of us growing tired of a wall colour or garden arrangement, the layout of the site was changed around 1500 BC to the horseshoe and circle pattern we all know so well. That, of course, is the question we'd all like to know the answer to. At the moment, we can only tell what Stonehenge was not: it wasn't a graveyard, as there are no burials inside or around the stones. It's not likely that it was used for cremations, as the archaeologists have found no burnt earth. But that's not to say that none of the locals could have held their burial ceremonies within the ring of stones. Since the site is aligned with the rising sun at the solstice, it has often been called a temple and declared a place of sun worship. 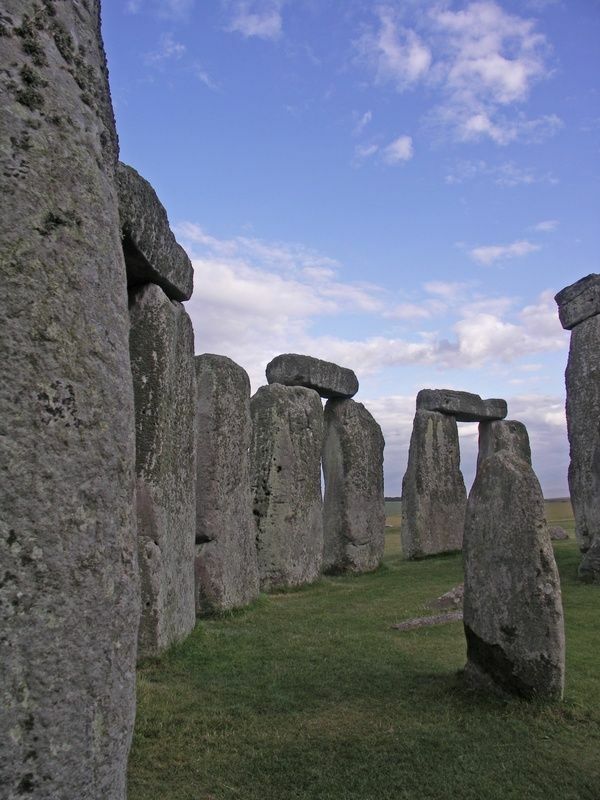 Did the ancient peoples of England worship the sun? Neither do we know if they needed giant calendars to predict planetary alignments and eclipses. But this is another theory that has been put forward. What we do know, is that Stonehenge is not the only prehistoric monument of its kind in England, or even Western Europe. Stone circles have been found in Brittany, England, Ireland, Scotland - all the way up to the Orkney Islands. And considering the effort involved in sourcing the stones and erecting these monuments, at a time when life was harsh and survival chancy, the people who built those stone circles must have had a powerful reason for doing so. 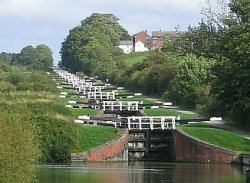 As Stonehenge is not the only such monument in England, neither is it the only point worth visiting on the site. Two miles northeast of the famous stones lies Woodhenge. Little is left of that site now, but once it consisted of six rings of tall, upright timbers, enclosed within a circular bank and ditch. The positions of the timbers are now marked with concrete posts, giving the visitor an idea of what it was like to stand inside the structure. Again, nobody knows what its use may have been, but excavations in the 1970s found the burial of a child near the centre of the enclosure. The child's skull had been split. Murder victim, human sacrifice or ceremonial offering? Most likely we will never know. A little towards the west lies a 1 3/4 mile long narrow enclosure, surrounded by a low bank and ditch. This is The Cursus. Dating from the earliest phase of the site, it may have been used for processions or races. Beyond its western end and to the south, in sight of the ring of stones, several Bronze Age burial mounds rise above the landscape. Prehistory fan or just curious?